I love experimenting and creating in the kitchen. 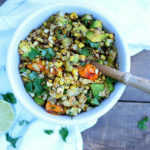 I knew I wanted to use corn and avocado together, so I threw together some ingredients that were in the fridge and out came this amazing roasted corn and avocado salsa! As in, “oh my goodness, why haven’t I made this before? !” Each time I make it, it’s always a little bit different. Hot or cold. Extra charred or lightly roasted. Different amounts of the cauliflower or tomatoes. It never fails though, it always seems perfect! With corn season finally up and running around here I’ve been fortunate enough to get my hands on some fresh, local, organic corn. 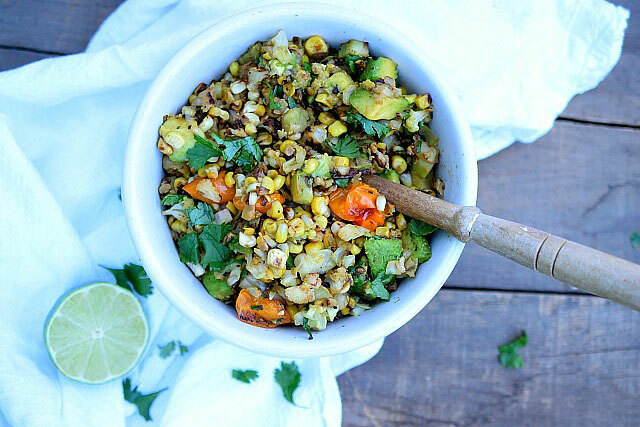 It’s one of the best summer foods, and it goes great in this salsa. It brings that sweetness while still very fresh, and with that avocado, caramelized veggies, juicy tomatoes, and lime! Oh my goodness! You all seriously need to try this out! Option 1 (oven): mix the first seven ingredients with just enough coconut or avocado oil and salt to coat. Spread on baking sheet and roast on about 400°F stirring occasionally until roasted, or place under broiler for a minute or two between stirs. Option 2 (stove top): place the first seven ingredients, with just enough oil to coat, in a non-stick skillet on medium-high heat. Let sit for 3-5 minutes until they begin to color, stir, repeat until desired char. After this mixture is nice and roasted, you can either keep it hot if you want a warm salsa, or chill in the fridge if you want a cold salsa. Whichever you choose, stir in as much diced avocado as you'd like, enough lime juice to coat, and some freshly chopped cilantro. Taste. Do you want more lime juice? Does it need an extra sprinkle of salt? Adjust. Use the ingredients that you like or have on hand. Play with the ratios, I end up making mine where the corn only makes up about 1/4 of the salsa. Do what you like! I've made this salsa two different ways and they both turn out great. I prefer to char in a skillet as it is quicker, but do what is easiest for you! *For those that don't know, my recipes are made as whole and nutrient-dense as possible, but still incredibly satisfying. I share my recipes without measurements and hope they equip you to not feel confined to a recipe, but rather confident in your kitchen to be able to create something unique, nourishing, and delicious all on your own. So take this recipe as inspiration and enjoy! Head on over to my IG @noelle.parton and tag me if you try this out, or contact me if you have questions or comments. I’m Noelle, creator of Simply to Thrive. 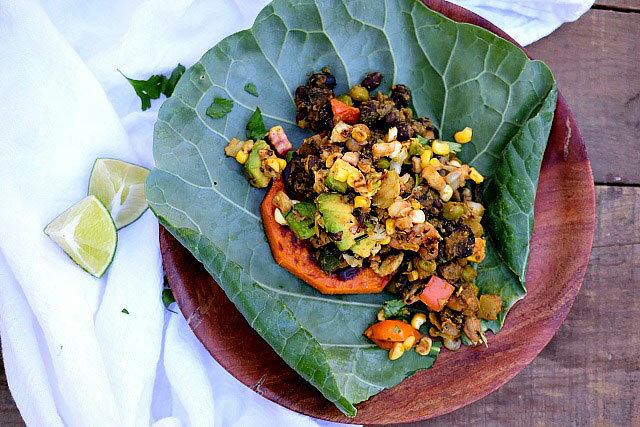 A place all about getting back to the basics – simplifying all facets of wellness to empower you to live an abundant life through whole, plant-based eating and an intentional lifestyle. become CONFIDENT in the kitchen! © 2019 Simply to Thrive. All rights reserved.